Home / Computer Knowledge / COMPUTER KNOWLEDGE –IBPS PO/CLERK—SBI PO/CLERKS—LIC AAO/RBI ASSISTANT /RRB ASSISTANT ..
COMPUTER KNOWLEDGE –IBPS PO/CLERK—SBI PO/CLERKS—LIC AAO/RBI ASSISTANT /RRB ASSISTANT ..
26. Which of the following is a collection of unprocessed items? 68. We use ________ shortcut key to insert something in microsoft excel. 146.What does SNMP stand for? 148.Which of the following is not true? 1) LOGO stands for Live On Google’s Orkut. 2) BIOS is a system software. 3) GRUB is a Linux boot loader. 4) Ruby is a web scripting language. 5) LILO is a Linux boot loader. 177.Database that spreads information across different tables while maintaining links between them is referred as 1) Relational database 2) Rotational database 3) Database connection 4) Tabular database 5) None of these. 184.Which of the following is not an advantage of a client/server model? 1)A client/server model allows centralised control of data and centralised implementation of business rules. 186.Which of the following is FALSE regarding SQL? 1) It can execute queries against a database. 2) It can retrieve data from a database. 3) It can insert records in a database. 4) It can update records in a database. 5) It can’t delete records from a database. 187.Which of the following is not a design principle of BASIC? 1)It is easy for beginners to use. 2)It is a general-purpose programming language. 3)Allow advanced features to be added for experts (while keeping the language simple for beginners). 4)It is not interactive 5)It provides clear and friendly error messages. 8.1 9.4; Format drive name is used to format a drive through command prompt. 10.4; “FIND” option is used to find a particular word or group of words. It is available under “EDIT” menu. 14.2; PDF files can be opened through only PDF readers such as Adobe Reader. 16.2; NIC, ie Netowork Interface Card, is another name of LAN card which provides interface between a computer and a network. 19.1; “TMP”—It is an extension of temporary file. 28.3; “Modifier key” is a key which is used to change the meaning what we write. 29.1; Document files are the special type of files where we can store letters, photos and memories. 30.5; Artifical intelligence is the feature in which computers behave like human beings. 36.3; FLASH memory is based on time memory that means all data will be lost whenever current is discontinued. So it is RAM. 38.3; Both Sequential and Random files can be stored on a disk. 39.4 40. 2 41.2; Private key is used, because it is known to user only . 49.3; We can interchange the messages through Messenger, for example Yahoo Messenger, gtalk etc. 152. 4; RAM is called primary memory of a computer. 157. 2; Half duplex is bidirectional connection, with the restriction that data can travel in one direction at a time. 160. 3; POST: Power-On Self-Test refers to routines run immediately after power is applied, by nearly all electronic devices. 171. 4; Freeware (from “free” and “software”) is a computer software that is available for use at no cost or for an optional fee, but usually with one or more restricted usage rights. 177. 1; A relational database stores information across different tables and connects them with links in the computer. 178. 1; VisiCalc: It was the first spreadsheet that combined all essential features of modern spreadsheet applications. 185. 2; RAID (redundant Arrays of Independent Disks) is a method of storing data on two or more hard drives that work in combination to do the job of a larger drive. Although RAID can be used to increase performance, it is most often used to protect critical data on a storage server. 188. 3; C is a computer programming language developed for general purpose between 1969 and 1973 by Dennis Ritchie at the Bell Telephone Laboratories for use with the Unix operating system. 189. 2; OSI designates the application, presentation and session stages of the stack as the upper layers. Generally speaking, software in these layers performs application-specific functions like data formatting encryption, and connection management. Examples of upper—layer technologies in the OSI model are HTTP, SSL and NFS. 190. 1; In a batch processing operating system, interaction between the user and the processor is limited or there is no interaction at all during the execution of work. Data and programs that need to be processed are bundled and collected as a ‘batch’ and executed together. 191. 1; Several different connectors and jumpers are used to configure the hard disk and connect it to the rest of the system. The number and types of connectors on the hard disk depend on the data interface it uses to connect to the system, the manufacturer of the drive and any special features that the drive may possess. 192. 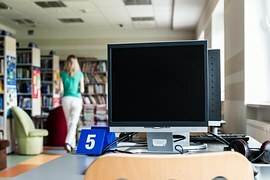 5; File Allocation Table (FAT) is a computer file system architecture now widely used on many computer systems and most memory cards, such as those used with digital cameras. FAT file systems are commonly found on floppy disks, flash memory cards, digital cameras and many other portable devices because of their relative simplicity. FAT was also commonly used on hard disks throughout the DOS and Windows 9x eras, but its use on hard drives has declined since the introduction of Windows XP, which primarily uses the newer NTFS.The initial version of FAT designed for 16-bit microprocessors is now referred to as FAT12. 196. 2; Proxy is the computer network service which allows clients to make indirect network connections to other network services. 198. 2; A sector is the basic unit of data storage on a hard disk. The term “sector” emanates from a mathematical term referring to that pie-shaped angular section of a circle.